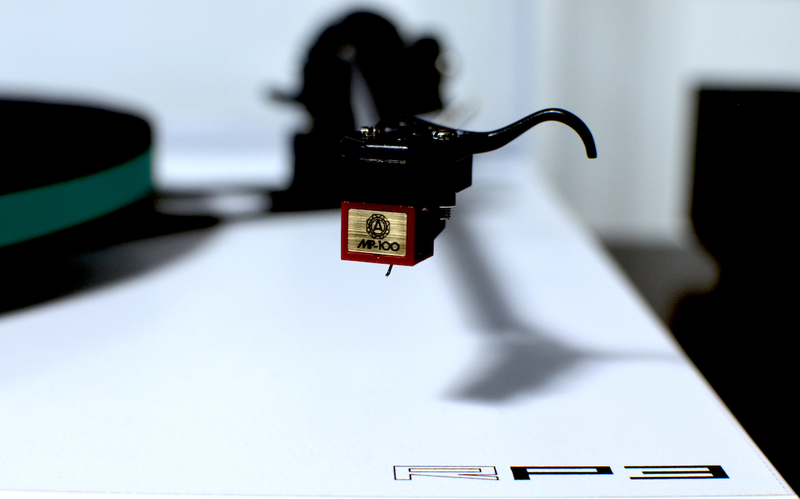 The MP-100 is Nagaoka’s entry level cartridge. At the MP-100’s price point you’ll find some proven performers, just about every manufacturer has an offering or two. I’ve played a bit of everything through this cart; I’ve got a bit over 30 hours worth of play on it now. The biggest thing I’ve noticed with the MP-100 is how well balanced it is. It’s not overly bright, mids are nice, smooth and full, and bass is excellent. The Nagaoka does well with complicated (at least as complicated as I can provide) passages never seeming to get overwhelmed. I am very pleased with the performance of the MP-100. It’s very detailed, and has good tonal balance. I have yet to find any weakness. I have noted one slight almost non-issue and that is at 1.8g of tracking force the conical tip doesn’t track quite as well as the Audio Technica cart that it replaced. I have a couple LP’s that are fairly scratched up that the AT and even a Shure will track through without skipping, the Nagaoka will skip. Like I said, this is almost a non-issue as it will track through everything else just not the worst scratches. From Louis Armstrong to Mozart or the Rolling Stones the Nagaoka MP-100 does an admirable job of proving it is quite capable of handling just about anything you want to spin its way, which in my opinion just adds to its value and appeal. This is a fantastic cartridge, and what it does, it does well without breaking the bank. This entry was posted in Uncategorized by Needle Doctor. Bookmark the permalink. The reason for the mistracking, assuming everything else is measured and correct and the vinyl is clean, is, of course the conical stylus, which can’t get deeply enough into the groove, like an elliptical one can. I wonder if the mistracking will eventually ruin your recordings. Which do you think is harder, anyway, vinyl or a diamond? Me, I’d rather spend a bit more for a properly shaped diamond, just to keep my recordings safe from harm. based on it’s ability to achieve groove depth. When I find a record that skips, I play it on an old Singer record player with a coin or two taped to the head of the tonearm. Then I tilt the Singer in the opposite direction of the skip, and when I play it on my turntable, the skip is gone!